to be held at the Elks Club, 44 Maynard Rd in Middletown CT. 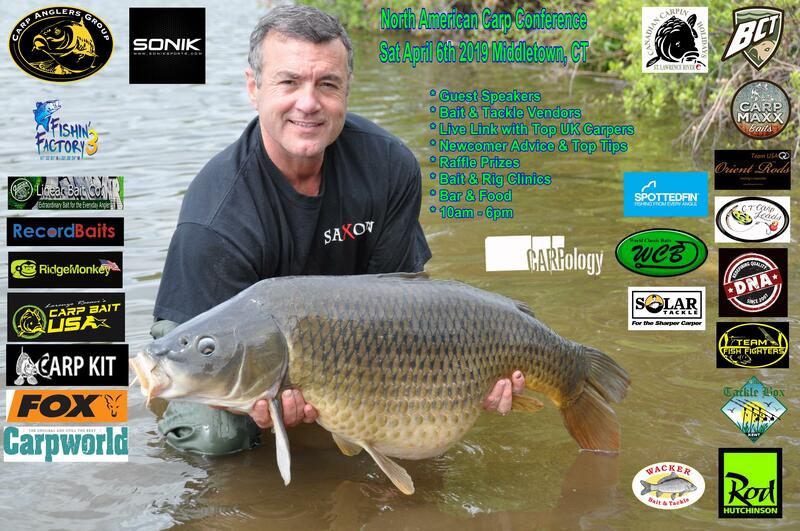 It runs 10am - 6pm and features Vendors, Speakers, Raffle Prizes, Rig & Bait Clinics, Newcomer Advice plus Lots More! We’ll even have our popular ‘Live Links’ which will be no other than carp legend Steve Briggs! Entry also available on the door. Just secured my ticket, sounds like a good time! Is there a program or itinerary posted anywhere?